Welcome to the best Mopar E-Body website EVER!! 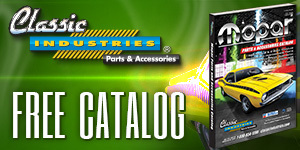 Mopar performance at affordable prices. 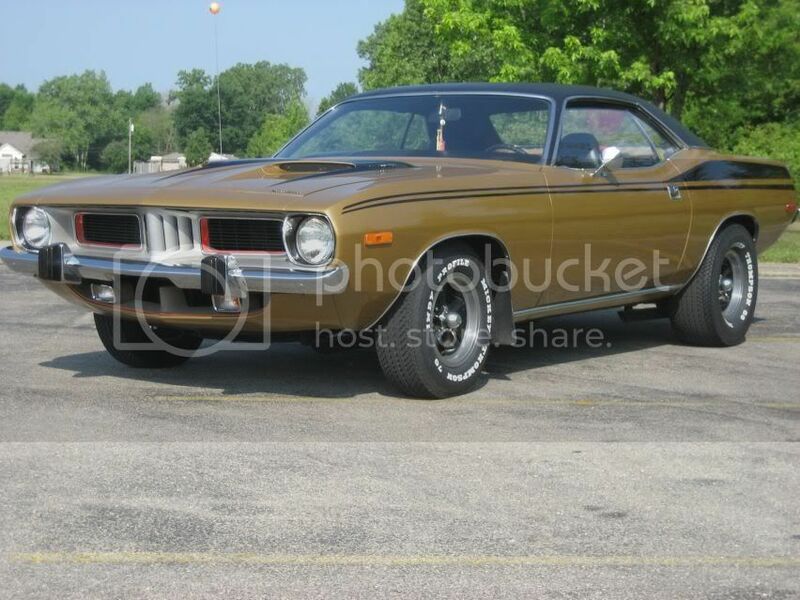 I have only owned the Cuda for a little over a month so I don't know about it being in any magazines. It is doubtful though, the car just finished restoration in June. Oh, and thanks for the busstop tip! I had no idea that's where they were all hanging out, I might need to give that a try!! 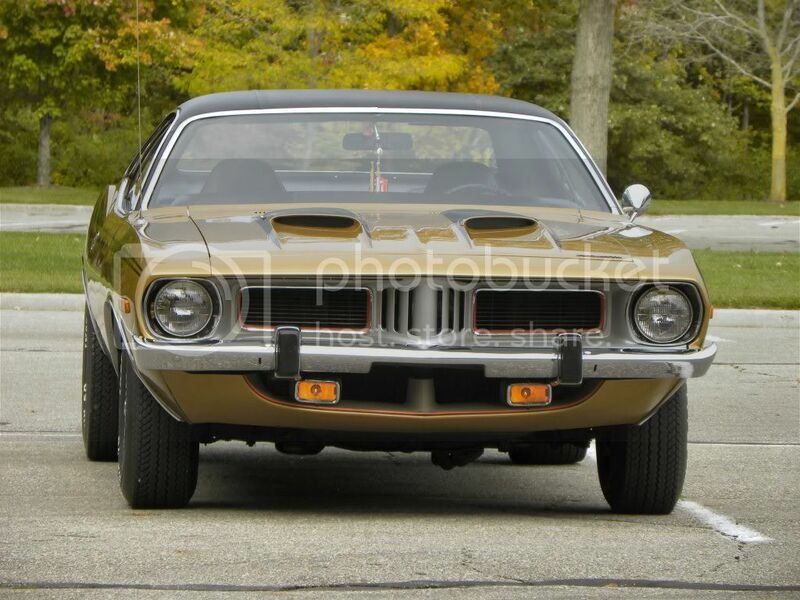 Hello ~shaker~....You have a beauty of a Cuda! And, all of those other muscle cars, wow!! Have you ever owned any Z-28's? 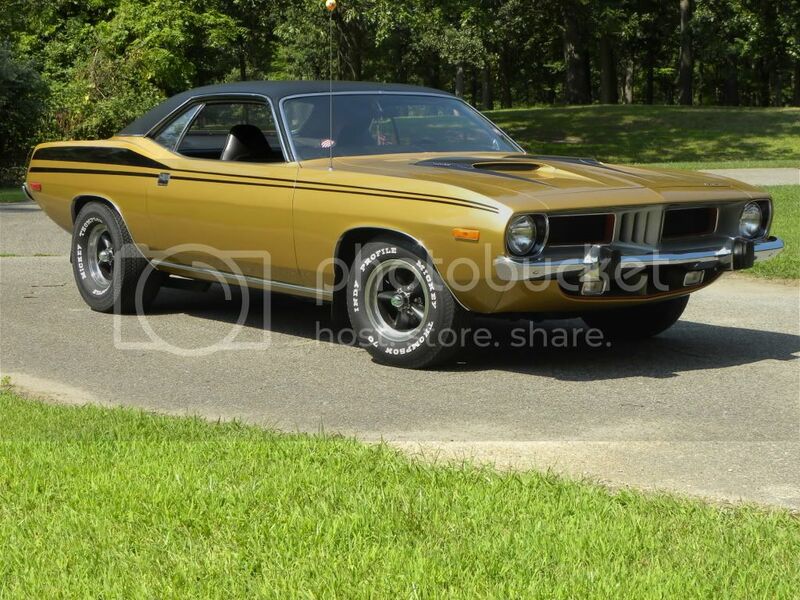 My best friend from high school bought a '73 Z and I bought my '73 Cuda. We raced all the time. 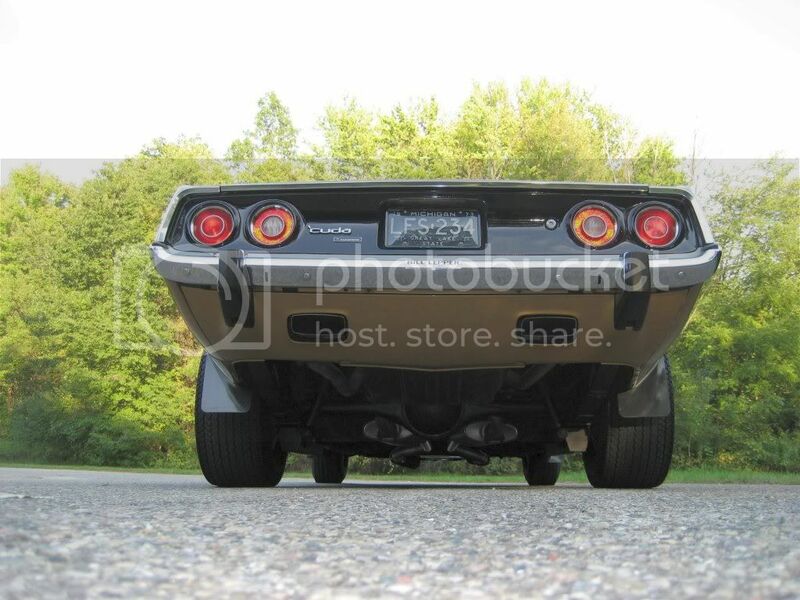 My 340 always showed his 350 its dual exhausts. His was white with wide center black stripes from hood to trunk. Anyway, welcome to the forum. You must own a warehouse outback someplace to store all of those beauties. I guess we`ll let all those belly button Camaro pics slide since the Hooters girls are in one(and it`s a `69 pace car)! Hi there Shaker, I'm from Oklahoma but I am stationed in Mississippi. From Shawnee to be exact, 3o miles east of the City. There is some good events in the metro and around there. I think my favorite car show there is the Daryl Starbird Show. It is a circuit show that goes down in Tulsa, OKC at the Myriad, Wichita,.... It is an idoor show and has some really nice top quality rides from all genre's. Looks like yours would fit into the show. I would say you should try to register a year prior to get in. Daryl Starbird is a LEGEND and created some really wild cars in the late 50's to the 70's. Then you have of coarse the Good Guys show at the Stat Fairgrounds, just alot of bubble fender era rods and kustoms typical of Good Guys. It's a fun time. My favorite swap meet/ outdoor show is the Muscle Car Ranc deal in Chikashea. It is really neat. I think one weekend is just a show and then the next a Show/swap meet deal. Then in Purcell you have a really nice small town type of car show. They have tractors and hot rods. I think they call it oil days. It has been a long time since I have been to anything car related in OK but you should be able to google these events and come up with something. Again I recommend Daryl Starbird show at the Myriad dontown OKC and if you like the small town thing and a nice cruise to get there try the Purcell show. If you want to find some nice nostalgic car parts and show off your rides the Muscle Car Ranch in Chikashea is fun. Good to see another Okie on here!